Product categories of Protective Fitting, we are specialized manufacturers from China, Protective Fitting, Fdz Vibration Damper suppliers/factory, wholesale high-quality products of Protective Fitting Arcing Horn R & D and manufacturing, we have the perfect after-sales service and technical support. Look forward to your cooperation! Electric Power Fitting protective fittings are used to restrain vibration of conductor and groud wire foverhead transmission lines, or to grade and to shield the insulator string of 330KV and above transmission lines and substation. 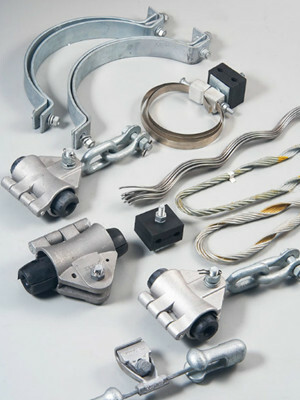 For example, dampers, spacers, arcing hom, Preformed Armor Rod, grading and shieding rings. 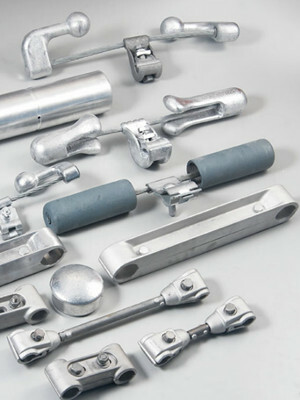 The conductor can be enwound by aluminium tapes as installing dampers and spacers onto it.